Unfortunately, I don’t have the time to join too many cooking events happening around the blogging community, mostly because I’m too busy creating recipes for my blog and taking care of my kids. However, when I saw an event hosted by Heather at Girlichef, the “Joy the Baker Cookbook Spotlight and Cook-Off”, I immediately wanted to be a part of it. 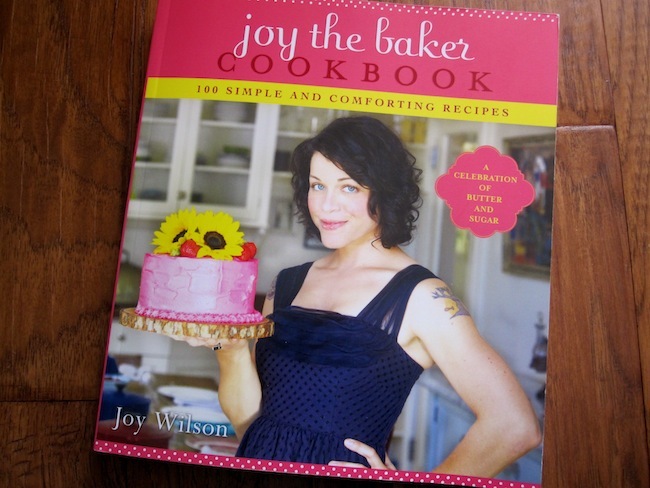 Joy the Baker has always been one of my favorite food blogs, inspiring even me to bake. Joy Wilson is a self taught baker, the woman behind the Joy the Baker blog and now she is the author of a cookbook as well. Her photos, stories and recipes are amazing! 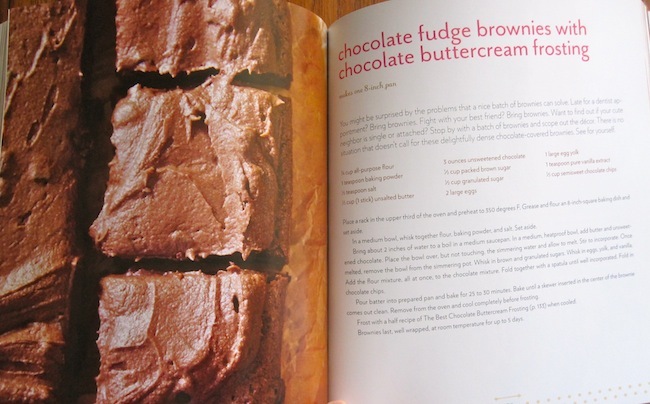 The first recipe that we prepared from her cookbook was “Chocolate Fudge Brownies with Chocolate Buttercream Frosting”. Everyone needs a good brownie recipe and these brownies are rich, deeply delicious and they melt in your mouth. Are you drooling yet? 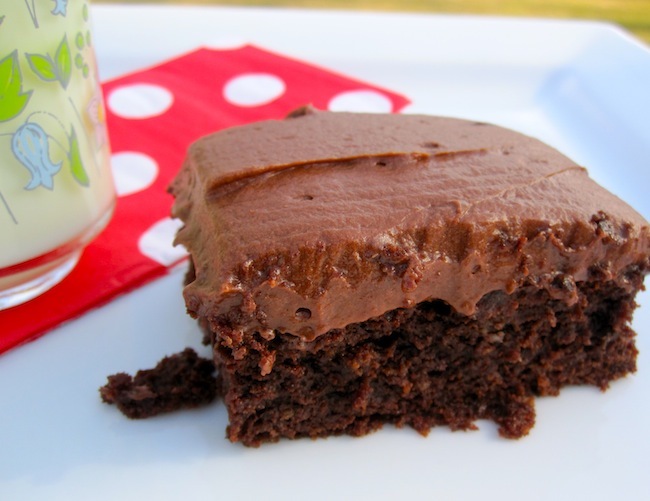 Here’s Joy Wilson’s recipe for “Chocolate Fudge Brownies with Chocolate Buttercream Frosting”. Place a rack in the upper third of the oven and preheat to 350 degrees F. Grease and flour an 8-inch square baking dish and set aside. Bring about 2 inches of water to a boil in a medium saucepan. In a medium, heatproof bowl, add butter and unsweetened chocolate. Place the bowl over, but not touching, the simmering water and allow to melt. Stir to incorporate. Once melted, remove the bowl from the simmering pot. Whisk in brown sugar and granulated sugar. Whisk in eggs, yolk, and vanilla. Add the flour mixture all at once to the chocolate mixture. Fold together with a spatula until well incorporated. Fold in the chocolate chips. 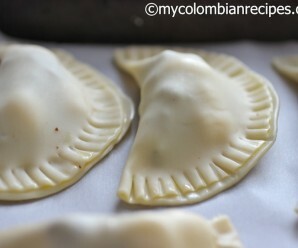 Pour batter into prepared pan and bake for 25 to 30 minutes. 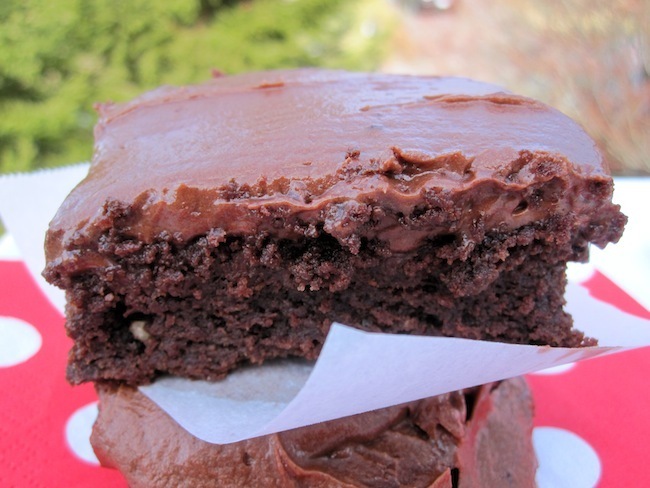 Bake until a skewer inserted in the center of the brownie comes out clean. Remove from the oven and cool completely before frosting. 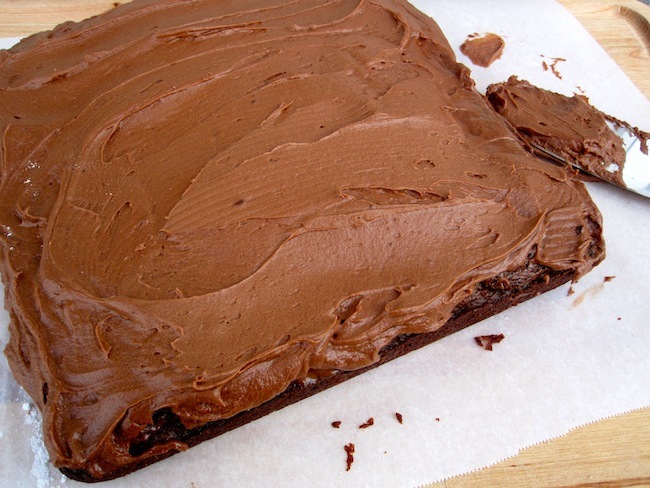 Frost with a half recipe of The Best Chocolate Buttercream Frosting (see below) when cooled. Brownies last, well wrapped, at room temperature for up to five days. In the bowl of an electric mixer fitted with a paddle attachment, cream together butter, cocoa powder, and salt. Mixture will be very thick, but cream for about 3 minutes at medium speed. Turn off the mixer, scrape down the sides of the bowl and add the powdered sugar. Turn the mixer on low to incorporate 2½ cups powdered sugar while adding the milk and vanilla. As the sugar incorporates, gradually increase the mixer speed to medium-high. Stop the mixer and scrape down the sides of the bowl as necessary. Beat until smooth. In a 1-cup measure, stir together cream and Ovaltine. Turn the mixer to medium, and pour the cream in a slow and steady stream until the frosting reaches your desires consistency: smooth, creamy, and spreadable. Add more powdered sugar to adjust consistency. Spread or pip frosting onto cooled cakes or cupcakes (or brownies!). 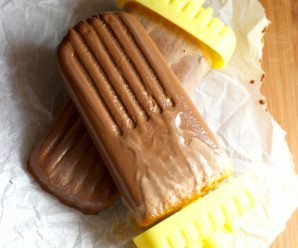 note: Putting the frosting in the fridge for about 30 minutes makes it harden just a little and makes it easier to spread as a frosting. Frosting will last well wrapped, in the refrigerator for up to 5 days. 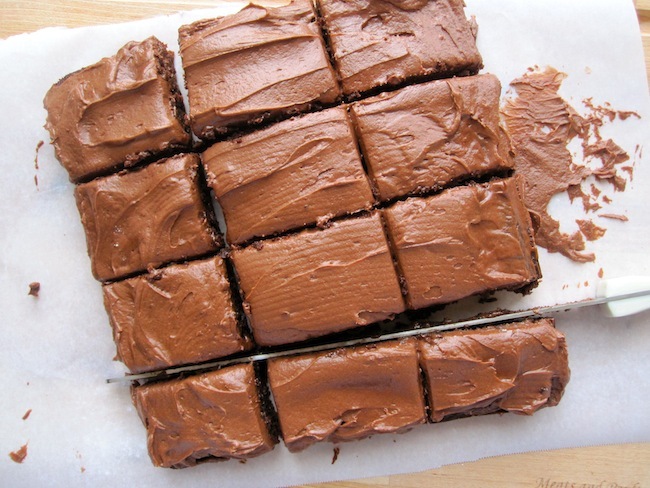 Seriously, I NEVER tire of looking at these brownies. They’re so fantastic. Yours definitely look amazing…and I am happy that you joined in this event =). My tummy is growling! I think if I had made the brownies instead of the crackers I would have eaten the bowl of frosting with a spoon! She’s wonderful and so are you! These brownies are my kind of treat! OMG it looks so decadent and rich! YUM! 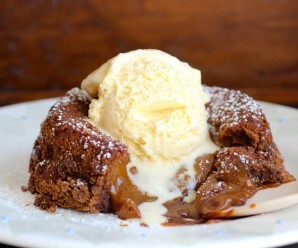 yuummmm, that looks mouthwatering, great to have when craving chocolate!! I have made brownies only once. I would love to try this recipe as they look irresistible. I’m with Heather, I could stare at these brownies forever. I think it’s the sign of a good cookbook that all of our test batches came out looking so similar to the book’s photos. This recipe is definitely a keeper! Super decadent brownies! Happy Valentine’s Day! Erica, these brownies look so good, moist and gooey. That is one sweet, tender crumb – I am definitely looking at it with desire! I don’t join in too many cooking events either – can never keep up – but I must say – you picked a grand one! Yours look incredibly moist, and I love how you slathered on that frosting. Mmm! I agree, I am busy too but this blog challenge is SO worth it! It’s killing me to see this buttercream again. It was so good. I crave it. if i came home from school and saw that slab of brownies on the counter, i would think i had died and gone to heaven…so delicious! happy to baking through joy’s book with you! I must look into this book. Chocolate is my cure for everything that ails me. Erica, your brownies turned out beautifully! So pleased to “meet” you and to be sharing the cookbook spotlight and challenge with you. Looking forward to seeing what you choose for week 3! I have seen so many of these brownies and I never tire of looking at them. So rich and decedent. I made the crackers, but will have to give these a try. 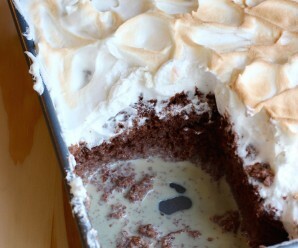 Your brownies are making me hungry just looking at the photos, so sinful!